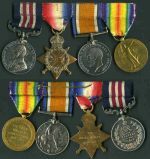 WWI group of 4 medals. 1914-15 Star to 2781 PTE R.L. Bennett. 16/BN. 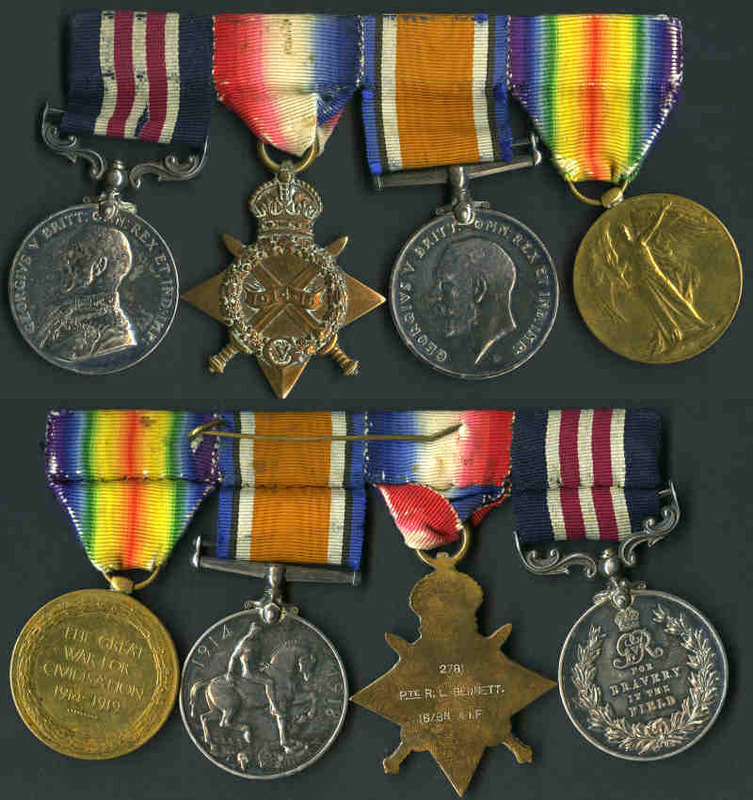 A.I.F., 1914-1918 British War Medal and 1914-1919 Victory Medal to 2781 CPL R.L. Bennett. 16 BN A.I.F. and KGV Military Medal to 2781 CPL R.L. Bennett. 16/INF :BN:A.I.F. impressed VF with ribbons. 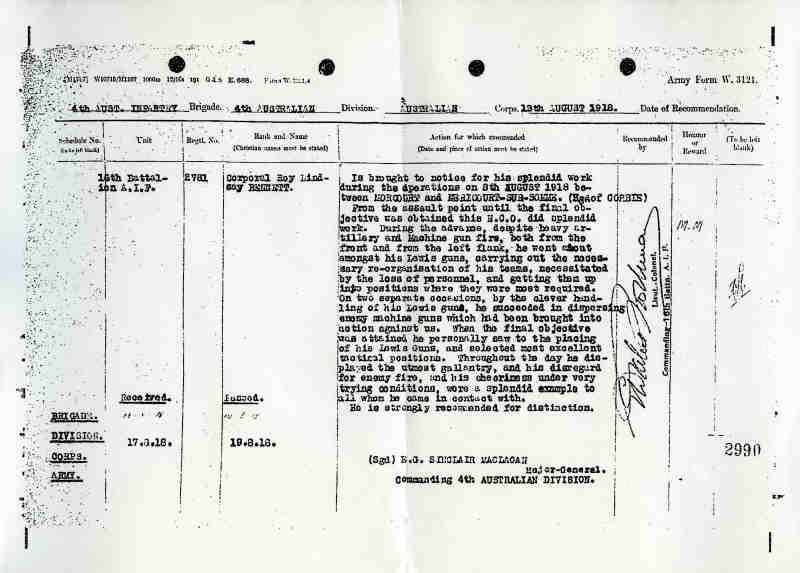 Military Medal awarded for his part in the operations on 8/8/1918 between Morcourt and Mericourt Sur-Somne, East of Corbie, during the battle of Amiens, France. From the assault point until the final objective this N.C.O. did splendid work despite heavy artillery and machine gun fire. 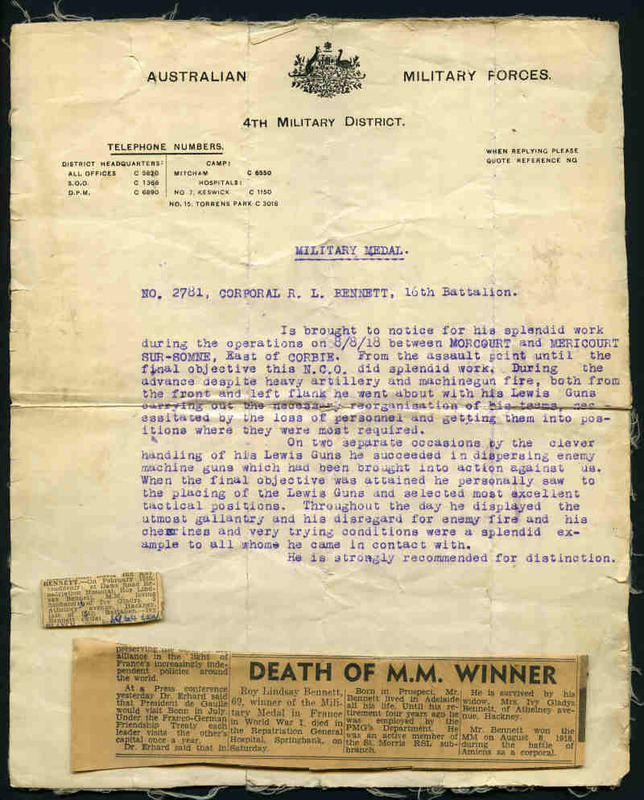 Accompanying Australian Military Forces 4th Military District original letter of recommendation and Newspaper clipping concerning his death. Roy Lindsay Bennett died on February 15th 1964 aged 69.